Hello and Welcome to Red Couch Recipes﻿! 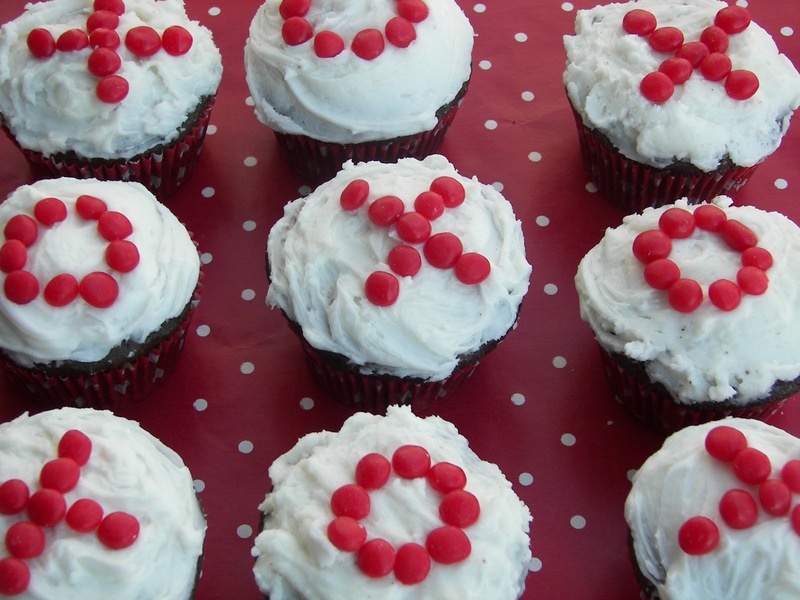 How about playing a game of Valentine Cupcake Tic Tac Toe with your favorite sweetie? The best part about it is that these are edible X's and O's -- Kisses and Hugs! How about the winner gets to eat all their cupcakes -- well, maybe just the three in a row? Looks like the lucky X's (Kisses) win this game! spelling out words such as LOVE, BE MINE, HUGS? 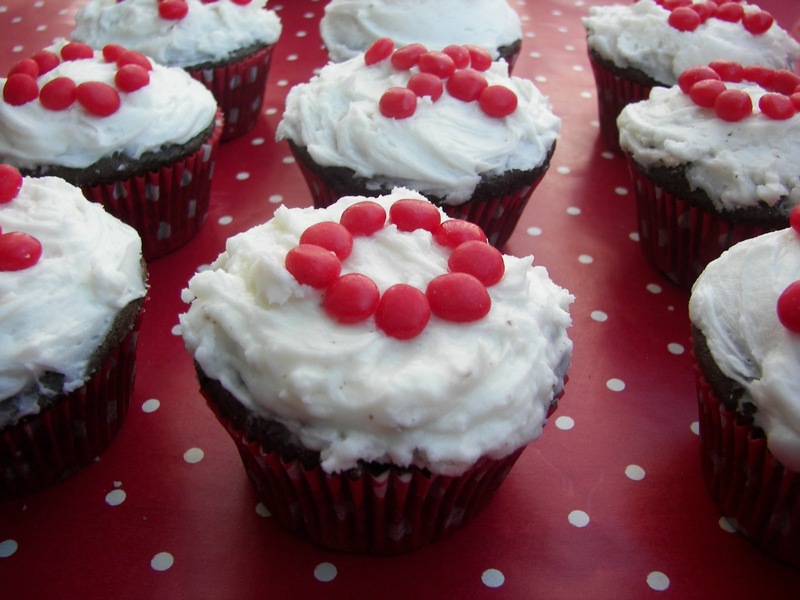 However you choose to create, these cupcakes are fun and easy to make! 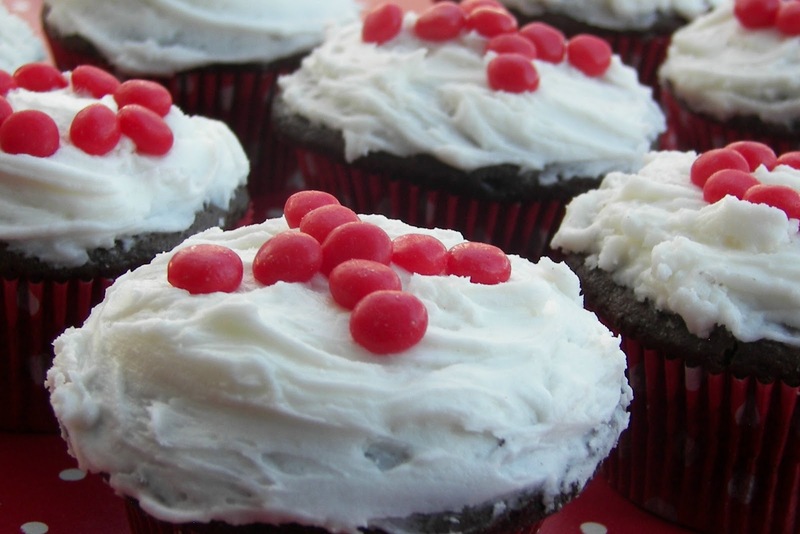 All you need are your favorite cupcakes, buttercream frosting, and cinnamon candies. Blend together 3/4 cup room temperature butter, 4 cups powdered sugar, 1 teaspoon clear vanilla extract, and 3-4 tablespoons water. You may need to add extra water, depending on how thick you want it. I think you will find that this game of Tic Tac Toe really ramps up the old traditional game. Usher in the Valentine's Season by making some cupcakes today! I found this concept in a Martha Stewart's Children's Magazine from about 10 years ago. so cute! i just happen to have a bag of red hots in my pantry. These are so cute! Love the idea! So cute! I never tire of seeing your creative and yummy sounding foods! What a cute idea!!!!!! TFS! You are so clever. I love red hots! What a fun idea! I love this and the winner gets to eat all??!!! I had the hardest time finding red hots except in the cake decorating section so when I saw them at Christmas I grabbed an extra. I know some kiddies who would love playing this game. Too cute. Joni, These are really cute! Easy too. Hope your week is going well. 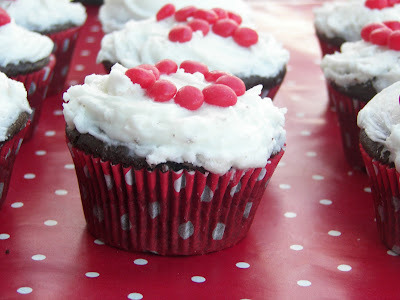 These are so cute, and easy too! The "LOVE" cupcakes are my favorites:) Thanks for more inspiration, Joni! What a cute idea! Love them! Thanks for joining us at Cupcake Tuesday! What a "sweet" idea! 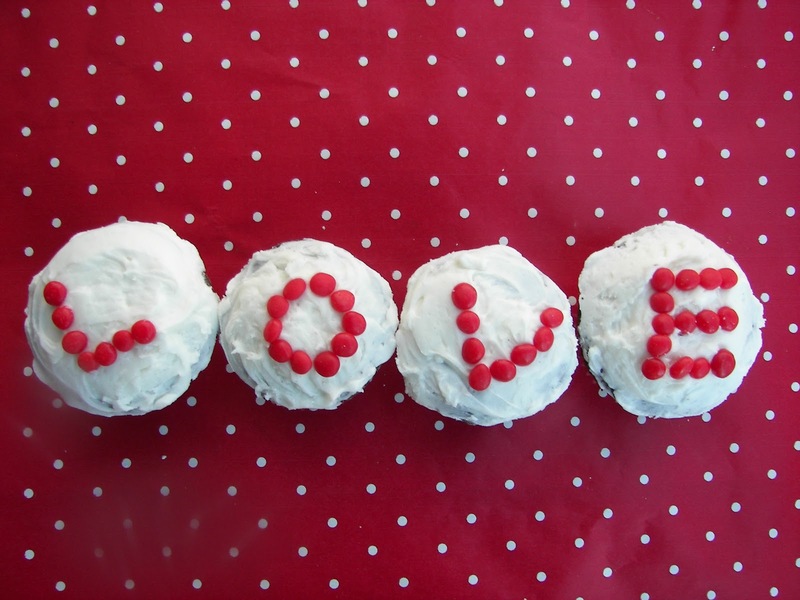 I love creative sweets--thank you for sharing! So cute.. I decided I am going to make cupcakes today! I am a new follower! 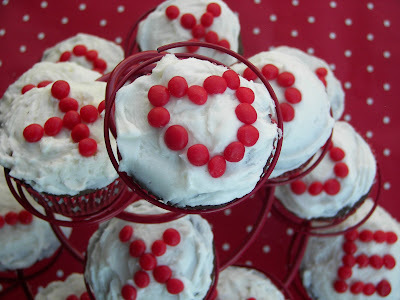 I am your newest follower......love your blog and will definitely try your yummy cupcakes. Please, visit my blog as I am new to blogging. Fun! ... and something the kids can do as well .... 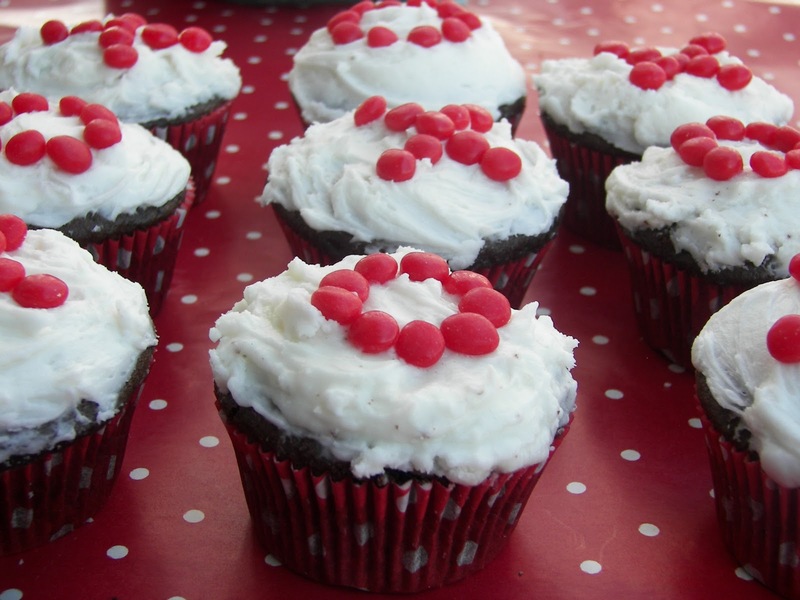 I would have to buy two bags of red hots ... one for me and to use for the cupcakes!